You might be interested in my giveaway. Check it out. I love this outfit specially the shoes! your pants are omg so amazing, literally in love with them! I love your two toned shoes too so amazing! 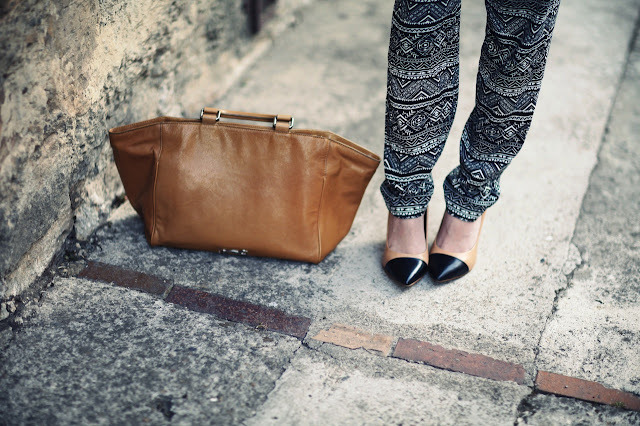 those pants are pretty neat, i love the way you styled them and the shoes rock! Lovely shoes Juli. And pants too!! You see so beautiful Juli. Big hug! 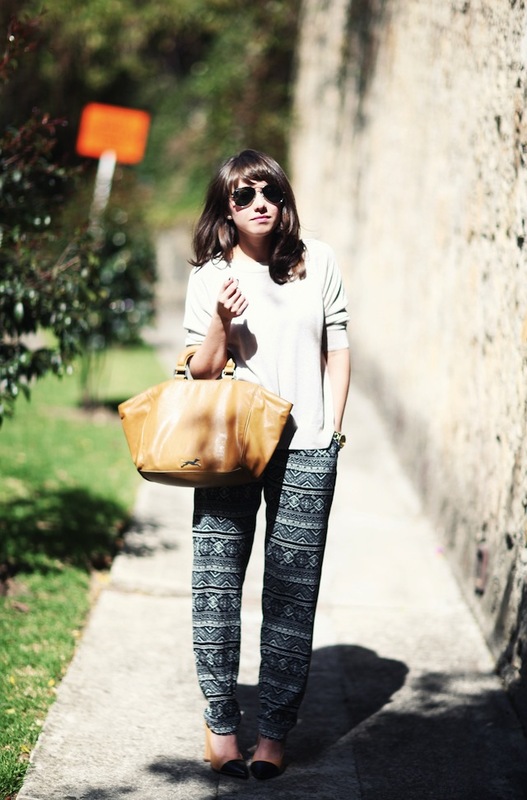 Los pantalones son geniales y el bolso me encanta!! Lovely!! Is that shirt new? I really wanted one like that but I'm having a little dificulty to find it! Oh I love that outfit!!! You look beyond amazing, beautiful, cool... just perfect! Your blog is amazing. I love all of your outfits and all of the pics. Incredible!! I follow you, kisses!! Me encantan los zapatos! !Son preciosos,y además tienen pinta de ser comodísimos!! I love the shoes and the tribal print. Muchas gracias, Loli, por supuesto que me sumo a tu campaña! tu y tus preciosos looks! Great outfit - very relaxed but chic. Love those trousers. Gracias por tu comentario.Me encanta tu outfit!es genial genial! !te sigoo.un beso. que guapa!! me ha encantado el blog y todas tus fotos! what an amazing outfit! love it!! great your pants, i really love them! your style is perfect! Great comments! As always... thank u so much! In love with your pants and your style is lovely!!! nice photos and I love your cool pants too! Your pumps are so beautiful and they would still be in 50 years, such a feminine classy look! Hello, I love your pants, and your shoes is beautiful. Kiss. amazing look!! i am in love with the shoes !! colorful & bright, while wearing 2 toned shoes. nice pants! love the print! Those pants!!! Such a good print!